There are many brand projects which have a smart strategy behind them. There are many branding projects which have a stunning visual presence. There are very few which combine a smart strategy with a clarity of communication. 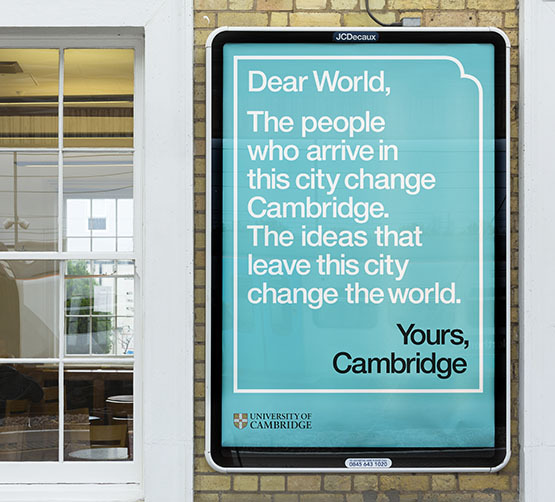 Dear World… Yours’ Cambridge is one of the few. Johnson Banks (the agency behind the work) have written a great explanation and overview of the work on their site, so we won’t cover all of it. What we would like to briefly analyse is the brilliance of the four words used as the lead message, and how each word conveys and reflects some of the strategy behind the brand. If you’re writing a letter in an official or professional capacity then you don’t write Dear. It’s far too informal. No, you open your letter with Dear when you’re writing to someone you know, someone you already have a relationship with. Someone you are friendly with. 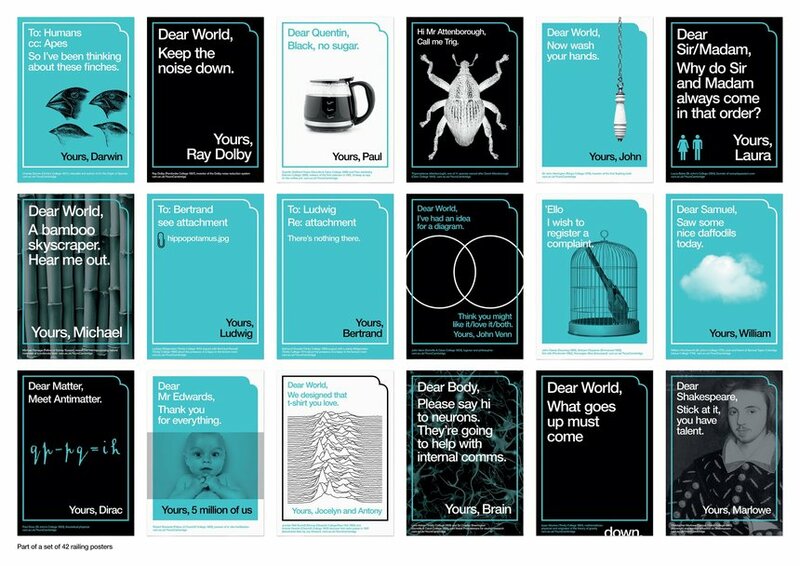 Starting with Dear sets the tone, and mitigates and offsets potential existing perceptions of Cambridge University as being stuffy, aloof, grandiose. This letter is to the world – not to a person, city or country, but to the whole world. Using World shows the global reach and influence Cambridge University has had over many, many years. It also shows a spirit of inclusivity, we are talking to everyone in the world here. Again, you don’t end a letter with Yours unless you have a personal relationship. Ending a letter with Yours shows affection and informality. This is personal. This is confident. We are writing to the world, yet there is no use of University to ensure people understand who is writing this. 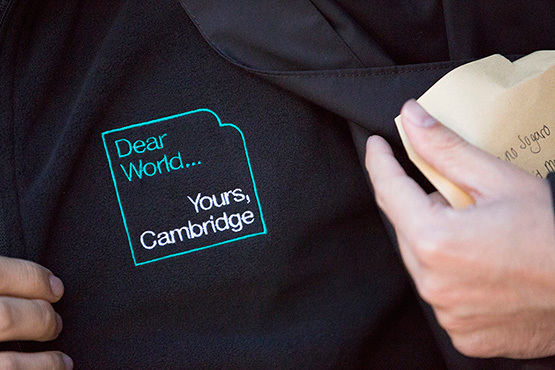 No, Cambridge is confident in being well-known enough around the world to just use the one word. Like Pele. There's far too few projects which marry brand strategy and execution well. Dear World... Yours, Cambridge is one of those few. We could talk more about the way flexibility has been brilliantly built into this brand language, but lets just say hats off to Johnson Banks on an excellent piece of work.